Size of the Industry The Indian Soap Industry includes about 700 companies with combined annual revenue of about $17 billion. Market Capitalization 70% of India's population resides in the rural areas and around 50% of the soaps are sold in the rural markets. During the British rule the Lever Brothers, England introduced modern soaps by importing and marketing them in the country. The first company created was North West Soap Company, the soap manufacturing plant in India situated in the city of Meerut, in the state of Uttar Pradesh. In 1897, they started marketing cold process soaps. In 1918, Mr. Jamshedji Tata set up India's first indigenous soap manufacturing unit when he purchased the Coconut Oil Mills at Cochin Kerala. OK Mills crushed and marketed coconut oil for cooking and manufactured crude cold process laundry soaps that were sold locally and It was renamed The Tata Oil Mills Company and its first branded soaps appeared on the market in the early 1930's. Soap became a necessity for the moneyed class by around 1937. Today with increase in disposable incomes all around the world along with India, growth in rural demand is expected to increase because consumers are moving up towards premium products. However, in the recent past there has not been much change in the volume of premium soaps in proportion to economy soaps, this was due to the increase in prices which has led some consumers to look for cheaper substitutes. The major players in the market for the personal wash (Soap) market are HLL, Norma and P&G. The toilet soaps market is estimated at 530,000 TPA including small imports where the Hindustan Lever is the market leader. The market has several, leading national and global brands and a large number of small brands. 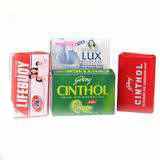 The popular brands include Lifebuoy, Lux, Cinthol, Liril, Rexona, and Nirma. Premium soaps are estimated to have a market volume of about 80,000 tonnes. This translates into a share of about 14 to 15%. However, by value it is as much as 30%. Soaps are categorized into men's soaps, ladies' soaps and common soaps. There are few specialty soaps like the Glycerine soaps, sandal soaps, specially flavored soaps, medicated soaps and baby soaps. Specialty soaps are high valued which enjoy only a small share of the market in value terms. The market is growing at 7% a year. This means that the incremental demand generation is 5% over and above the population growth. With increasing awareness of hygienic standards, the market for the Soaps could grow at a rate higher than 8% annually. Interestingly, 60% of the market is now sourced from the rural sector. This means that the variance between the two segments is not very large. Since upper-end market focus is the urban areas, margins come from the urban sector. Soap is a product for many people and the lathering up can be a treasured part of a morning or nightly routine. Whether it might be scented or unscented, in bars, gels, and liquids, soap is a part of our daily lives. In the United States, soap is a $1.390 million (US$) industry with over 50 mass market brands. But in Indian markets the sales potential for soap is only beginning to be realized. 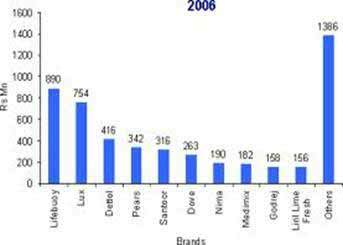 At the end of the year 2000, soap was a $1.032 million (US$) business in India. India is a country with a population of 1,030 million people. With the household penetration of soaps is 98%. People belonging to different income levels use different brands, which fall under different segments, but all income levels use soaps, making it the second largest category in India. Rural consumers in India constitute 70% of the population. Rural demand is growing, with more and more soap brands being launched in the discount segment targeting the lower socio-economic strata of consumers. Soap manufacturers originally targeted their products to the lowest income strata in urban as well as rural areas, positioning their brands as a way to remove dirt and clean the body. For some brands, that positioning persists even today with a focus on removal of body odor and keeping the user healthy. However, soap positionings are moving towards skin care as a value-added benefit. Soap is primarily targeted towards women, as they are the chief decision-makers in terms of soap purchase and for Medicated positionings like germ killing and anti-bacterial are marketed to families. About 75% of soap can be bought through the different types of outlets.This is the most common source for buying soap, which usually forms a part of the month's grocery list. Pan-Beedi Shops: These are really small shops, almost like handcarts, and they are primarily set up to dispense cigarettes and chewing tobacco. Total annual soap sales by companies marketing their brands at national or state levels is estimated at 14,000 tonnes of a total soap market considered to be about 126,000 tonnes. Today in the Indian economy the popular segments are 4/5ths of the entire soaps market. The penetration level of toilet soaps is 88.6%. Indian per capita consumption of soap is at 460 Gms per annum, while in Brazil it is at 1,100 grams per annum. In India, available stores of soaps are five million retail stores, out of which, 3.75 million retail stores are in the rural areas. 70% of India's population resides in the rural areas and around 50% of the soaps are sold in the rural markets. The Indian Soap Industry includes about 700 companies with combined annual revenue of about $17 billion. 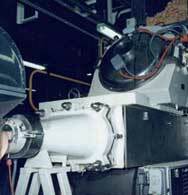 Major companies in this industry include divisions of P&G, Unilever, and Dial. The Indian Soap Industry is highly concentrated with the top 50 companies holding almost 90% of the market. The market size of global soap and detergent market size was estimated to be around 31M tonne in 2004, which is estimated to grow to 33M tonne in the coming years. Toilet soaps account for more than 10% of the total market of soap and detergents. In Asia, the countries like China and India are showing rapid growth in the toilet soap section. Market share of body wash was estimated to be around 2% in 2004 and is showing signs of healthy growth in these markets. India's soap market is Rs 41.75 billion. Indian Soap Industry volume is Rs 4,800-crore. For the purpose of gaining a competitive edge, Indian companies are now relaunching their brands with value-additions to woo consumers across India. For instance, Hindustan Lever Ltd (HLL) has recently launched a host of toilet soap brands which include Lifebuoy, Lux, Breeze and Liril-with value additions. Also is in the process of rolling out 'Ayush' ayurvedic soap. The aim is to meet the evolving needs of customers. One of the factors which affect the demand of soaps is the penetration, which the products have in market. In case of soaps this has not been a major issue as the penetration in the rural area is as high as 97% and that for urban area is around 99%. Thus approximately the penetration is around 99% for overall India. In terms of market share for Indian Soap Industry the data indicates that HLL had a market share of 64 % in the soap market, followed by Nirma at 16.8 % and Godrej at 4.4%. Nirma's market share was in the northern region was 21 %. The largest contributor to the toilet soaps market in Indian market is Hindustan Lever with the total contribution to the economy & enjoys almost a two-thirds share, with the second ranked Nirma Soaps placed at a distantly low share of 16.8%. Lux and Lifebuoy have held the sway of the market for almost fifty years. Indian Soap Industry has tremendous opportunities in the manufacturing companies of soaps for Graduates and post graduates in the areas of Marketing, Finance, Administration, Advertising and even opportunities for the models to act in ads for the soaps. In Indian Soap Industry the entry of new players in the 6,500-crore toilet soaps industry is expected to bring about a new twist in the "Indian soap opera". ITC Ltd has started investing in aggressive brand-building and product development projects to promote its brands, Fiama De Wills, Vivel and Superia. Godrej Consumer Products Ltd and Wipro Consumer Care Lighting are established players in the Industry which are beefing up their research projects and advertising plans to take on new rivals. With increasing competition, the Indian Soap Industry is expected to register a healthy growth this fisca. The sector registered a 15% value growth. GCPL is hiking its advertising budget by 20% to gain high visibility for its brands.